Somehow over the last couple of days I've been on top of things. I've actually found myself with a little time to try out some new stamp sets and themes I've been want to do for a while. Here's a little of what I've been up to. 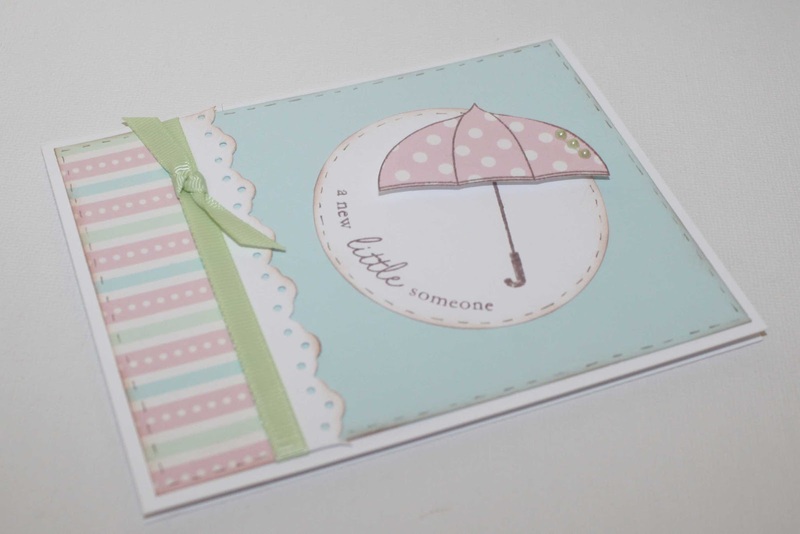 The first two are baby cards. 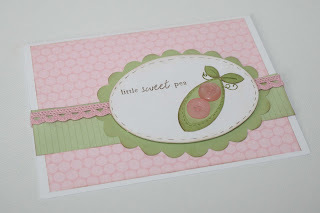 I had this paper combination on the table from an invitation design and liked it so much I ended up making two more cards. 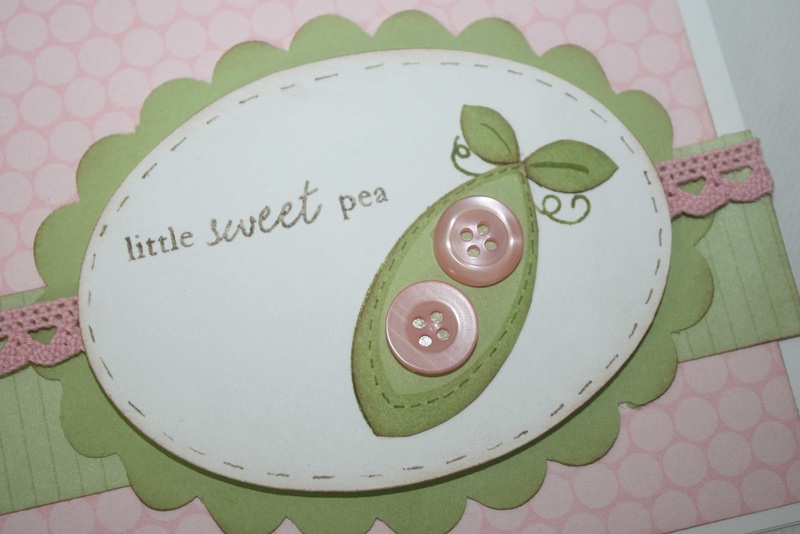 This little sweet pea card was from a Papertrey Ink stamp set that was on my Christmas list. I hadn't really gotten a change to play with it. I ended up paperpiecing the pea pod because I didn't like the plain stamped look. I thnk it worked out pretty good that way. The last one is my current favorite, but at the moment that doesn't mean much. My favorite tends to change every day. LOL! Anyway The sentiment is a combination of 2 stamps. Sweet Smile was a stamp from Close to My Heart that I just bought off Ebay. 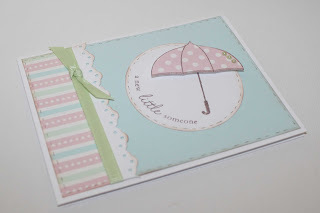 The Summer was part of a Papertrey Ink sentiment. I had to do a little piecing to get the phrase together, but I think it fits the card perfectly. 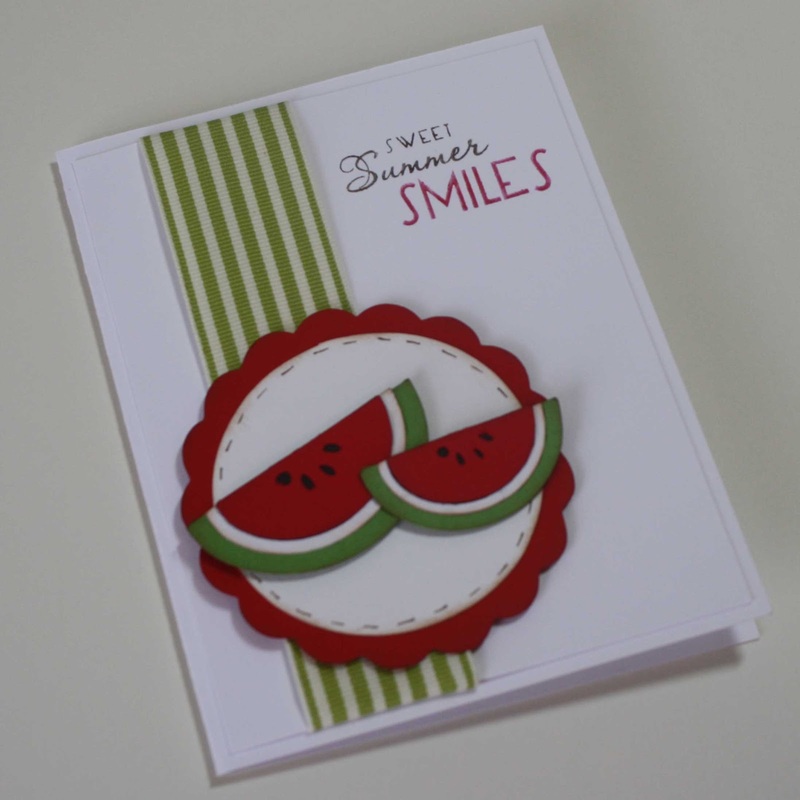 Watermelon slices are definitely summer smiles.